Here’s a wonderful old photograph of a “Tinker Family in Scotland.” It is believed to be taken sometime in the 1920s but the location was not identified. 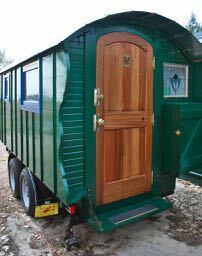 The wagon could just about pass for a western American sheep camp. Even thought they had the wealth to own a wagon it was still a pretty tough life, often unwanted in non-traveller (sic) communities, these people have been marginalized for centuries. I found this one while perusing the Johnston Collection on the Document Scotland webpage. Have a look if you are interested in great images of a beautiful country. Don’t know how you find time to do one of these postings everyday, but keep ’em coming! !